Over the last 10 years the following brand name firms have ceased to exist: (1) Brobeck, Phleger & Harrison; (2) Pennie & Edmonds: (3) Morgan & Finnegan; (4) Lyon & Lyon; (5) Fish & Neave; and (6) Darby & Darby. There are likely many others that have ceased to exist (I suspect we all know a few) although not with the same brand recognition, but well regarded firms in their own right. I have also been hearing rumors that another name brand firm is contemplating dissolution. I won’t name names because I have heard it from only one source so far, but the reality is that there are major changes circulating through the industry. Thus, it makes sense to devote a little time to try and figure out what is going on, why such highly regarded firms are vanishing and what can be done, if anything, to stop what might otherwise be inevitable. What is going on in the patent industry? Litigation is where the big firms and larger IP firms make their money, that much is certain. Those firms with litigation practices that also engage in patent prosecution do so typically for the purpose of keeping clients in the firm for all their patent needs. With large fees available for litigators and extreme downward pressure on patent prosecution, which is compounded by outsourcing to India, it is no wonder many boutiques can’t keep up. Litigation attorneys move on to greener pastures, both literally and figuratively, leaving patent prosecution specialists holding the bag, and scrambling to pay overhead for an office at 100 Extremely Rich Sounding Street in Crazyexpensiveville. Lets face it, patent litigation is growing more and more complex, not less complex. Over the years a typical patent has gone from something that could be read by those of reasonable intelligence and casually interested to a document that really makes you want to tear your eyes out. The Federal Circuit has complicated the law with inconsistent panel decisions in the same way it was a mess when the Regional Circuits heard patent cases. I suppose patents are more likely to be valid, but with every Federal Circuit decision rippling through patent prosecution like 8 foot surf on the North Shores of Oahu, those drafting patents have to say more and more and convey less and less, both to meet all the patentability requirements while still not saying too much relevant (or anything relevant) that could later manifest itself as an inequitable conduct allegation. So as technology gets more complicated (as it always does), patents are getting more complicated, longer, nuanced and less informing. There is more money at stake because the markets are larger and in many areas the markets are not maturing as they once did. In a mature market there is little real litigation. Sure there is litigation for a purpose, such as creating leverage in a licensing matter, but in mature markets there is rarely all out, win at any cost, bet the company litigation. Today, however, we see increasing evidence that even in relatively mature markets there is far more of an interest to go to the mattresses than there once was. It is as if major companies have forgotten that you can make more money in an oligopoly than you can in a monopoly when staying in charge requires tens or hundreds of millions of dollars a year paid to lawyers. What does this have to do with the downfall of the IP boutiques, particularly the patent boutiques? It seems to me that the amount of money at stake and the money companies are willing to pay litigators in the patent space is exorbitant. Couple this together with low margin prosecution work and litigators think why am I subsidizing patent prosecution? They see that they could make more money at a litigation firm where everyone brings in big bucks. So top litigators get lured to large litigation firms. The litigators that remain at the once dominant boutiques dwindle to the point where one has to wonder whether the firm could handle more than a single massive patent battle. Companies love redundancy, and no CEO has ever gotten fired by paying too much to attorneys. They do, however, get fired for picking a no-name attorney that loses. So the decision is easy, go with the big firm that has the workforce to handle it with plenty of bodies to spare. Increasingly that is not a patent firm, but a large firm with a litigation department that handles patent matters. The truth is you can bill 80 to 100 hours a week doing patent litigation, and no one can bill that kind of time doing patent prosecution. Your mind would go numb and you would be institutionalized if you tried, so the realistic useful week for those engaged in patent prosecution is maxed out around 50 a week, maybe 60 if you push yourself, but that is not sustainable. On top of that, clients will pay whatever it is necessary (usually) with respect to hourly rates for litigation because there is so much at stake. For patent prosecution work big clients, particularly tech clients, complain about the cost of obtaining patents and are pushing down billings. This is a big problem for large firms with big overhead and litigation partners who see prosecution attorneys as a drag on the bottom line. It is also impossible to ignore that many large tech companies are outsourcing patent work to firms outside the United States. In some instances it seems to be in flagrant violation of US export laws, as the USPTO explained in a Federal Register Notice in July 2008, but it is still happening out in the open. Still others complain about the cost of obtaining a patent and they want low flat fees for patent application drafting and prosecution. I have approached some companies with a better way to proceed in application drafting that would require the inventor to spend 1 hour of time working up a disclosure in a mentored environment and have been told that is unrealistic. So it is pretty clear to me that many big tech companies want to pay 50 cents on the dollar (or less) for patent application drafting and prosecution, but they want the 50 cents (or less) to come out of the patent attorney end. So it is more work for less money, period. No other way to say it. Is this “more work for less money” mantra causing some patent attorneys to cut corners and do less? Absolutely. There is nothing unethical or immoral about it though. The client gets what they pay for. It is the same for them in their business when they are selling a product or service, and it is the same in the patent business as well. Notwithstanding, ignoring the downward pressure being exerted by major tech corporations is to miss the forest for the trees. As long as the US Department of Commerce allows for the outsourcing of technology information in violation of US export laws, and as long as so many tech giants are willing to accept inferior patent applications that result in the issuance of poor patents, there is little hope for the large patent prosecution firms that exist in office space with marble floors and mahogany conference tables. The downward pressure on patent prosecution isn’t limited to giant tech corporations, nor is it a function of being a tech giant either. I know attorneys who do patent prosecution work and are paid extremely handsomely for the work they do. One I know is paid as well as any patent litigator because he is that good and he works for clients that demand quality patents. Sure, they would like quantity, but there are those companies that still would rather have quality over quantity. They recognize that their business model is built on intellectual property and without adequate protections the company would cease to exist, or have hundreds of competitors and water down the market to the point where existing would be inconsequential. I suspect there will be continued downward pressure on prosecution costs, at least so long as the Department of Commerce does not enforce the US export laws that almost certainly could kill India outsourcing. The same is true so long as Internet businesses are allowed to openly represent inventors and small businesses without a license. But what can be done? Those that are likely most at risk are the those who work for clients who are constantly applying downward pressure on your fee. You can only go so low, and if they want you to go lower then you need to be working on Plan B. Yes, I understand when Mega Corp. walks in and says we want you to prepare and file 100 nonprovisional patent applications for us this year, the temptation is enormous. Then when they say “and we want to pay $3,500 per application” your heart sinks. If it can’t be done then JUST SAY NO! You are never going to make it up on volume. The only thing you will do is crash and burn faster. Let Mega Corp. go to India and get the quality that they are willing to pay for. Eventually we all know they are going to have massive losses, trade secrets spread like wildfire, patents that are worth less than worthless or an Administration that finally realizes that outsourcing of jobs that could and legally should stay in America is not helping job growth numbers. Eventually things will crash. In the meantime you need to do what you must, but lay a strategy to take your firm through to a better place. No business, including law firms, has ever gone wrong by cutting back on overhead in a responsible way. Now that doesn’t mean charging $.25 for a can of soda if soda had previously been provided free to employees. I have known firms to do exactly that, and it is counterproductive and kills morale, which is the wrong thing to do when things are going poorly. But right now office space is cheap in many parts of the country, so take advantage of that if you can. And do you REALLY need to be in downtown New York, downtown Chicago, downtown Washington, DC or downtown San Francisco? Of course not. With Internet, e-mail, faxes and airplanes you can be located most anywhere, including a whole host of low overhead locations that are close to airports. There are also a lot of out of work or under employed junior attorneys and patent agents that could be used on a contract basis to lower costs somewhat and maybe even attract more work. Also take a look at your application preparation processes and see if they can be streamlined. Try and work with inventors in a collaborative manner, it saves time and creates a better product. On top of that, if the inventors are too busy, too important or just don’t want to work with you that should be a signal. They obviously are not that interested in the success of their patent portfolio, which should be a sign that when the going gets tough you will be cut first. It is also indicative of the attitude of those that want more work for less cost. Somehow they always want it to come out of your end, don’t they? Struggling to cover overhead expenses can be like trying to get from point A to point B while running on a treadmill. I am not suggesting that everyone run for the hills, firms dissolve and attorneys leave as if the ship is sinking. Nevertheless, a comprehensive audit of your firm, its clients, fixed costs, variable costs, processes, office space and more will pay dividends long term. We all spend a good portion of time counseling clients what they should do to move ahead, and just because the State Supreme Court won’t let you operate your business in certain responsible business ways that they perceive as unethical doesn’t mean that you can’t exercise good business judgment. Analyze where you are at and how to get to where you want to be. Just like investing in the stock market, diversification is the key. Firms need to diversify, and I suspect lack of diversity of client base is what has caused and will cause problems. Whether it is leveraged too much on one stream of business (been there, done that) or your clients share a common characteristic, lack of diversification means the walls start moving in all at the same time. I believe the days when it was GREAT to have a name brand tech giant as a client are probably gone. They are too worried about costs and seem in many cases not to care about quality. With the recession over and whatever recovery we will have showing signs of being underway, there will be a new wave of start-ups with exciting technologies and funding. Yes, funding! There are trillions of dollars sitting on the sidelines, waiting for a better economy to come on line. So positioning yourself and your firm to get work from technology start-ups that care more about quality than quantity, and are far more concerned with quality than costs, could be just what the doctor order for medium and large patent boutiques. It seems to me that the first thing which the Last of the Mohican boutique firms can do, is to start spreading tales about the penny wise and Mega-pound foolish. I have personally seen cases where Mega-Corp. X could have had a billion-dollar baby out of one of their patent applications but alas they were so stingy up front that they got the cr@p they paid for and missed out on owning the industry. Unfortunately, confidentiality requirements prevent me from spilling details. Perhaps other practitioners out there have stories that they can go public with of that nature, in other words, where Corp. X decided to outsource the patent prep and prosecute work to some low cost outfit and they certainly saved up on some pennies at that time but they later paid the piper for ending up up with a worthless patent where it could have been a killer one for the competition? I agree. If people knew what they were getting at least some things would be different. I have heard from some attorneys that they use India patent searchers and know they are crap, but if they get one that is crap they just buy another one. It goes… “at theses prices I just have them do another search if it looks like crap.” It is easy enough to know when a search is totally crap, but not at all easy to tell when a search is below standards and not acceptable. This type of logic is mind numbing. If investors only knew more! I wonder if you, or any others, might be able to put together a hypothetical tale illustrative of the situation that conveys the situation without releasing sensitive and/or confidential data. You know, change the names (and technologies) to protect the guilty. A very interesting article. I’m a European Patent Attorney. I’m not sure how much of the US patent market is populated by corporations that behave as you describe. They are the companies that are following the MAD strategy in patent filings. I prefer to call it the MUD strategy (Massively Unassured Destruction) as the patents generally are duds. I believe that over 50% of the patent applications filed and prosecuted in the US are drafted elsewhere in the world (not India) and are then filed and prosecuted by US attorneys. From my perspective and the vast majority of my client’s perspective it is quality that matters and real expertise in getting quality patents out of the USPTO is highly valued. My clients are rarely worrying about the quality of the patent litigator firm they may, heaven forbid, have to use one day. If the large law firms are not hiring quality patent prosecutors (perhaps they will outsource that to India as well!) them they will not be the natural home for the non US originating prosecution work. There are many more players cooperating around IP than fighting over it. Certainly this is the case outside of the US. This trend is growing and I think the US is out of step with ROW in this regard; there is massively less IP litigation outside of the US. So you have a peculiar market. Firms with expertise in the area of licensing (not the big stick variety) and tech transfer should have a growing market for their expertise. The patent filing and prosecution boutiques should probably do all of the things you suggest and more. I also think they should explore the growing market outside of the US for the delivery of quality services before the USPTO. Go West and East Young Man! One corollary to the above article, is that the time is ripe for the small IP boutiques (under 30 attys). These boutiques don’t have the big overhead that the bigger IP and GP firms have, and may be able to do those $3,500 apps through good old fashioned hard work. Some people predicted 5 years ago that these firms would be extinct soon as they didn’t have the brand recognition that the major firms had, but they were dead wrong! Companies seeking to cut costs now don’t hesitate so much to use a “lesser known” firm. Is the quality really any different than a giant firm? Of course it all just depends on the attorneys, not the firm size. Actually, I think the larger IP boutiques are more in danger than the smaller or medium size IP boutiques, especially if those smaller IP boutique focus on prep and pros, and opinion writing, and stay away from IP litigation. You will likely not make as much doing prep and pros but your life won’t be as insane as IP litigation is (I prefer sanity over making more money than I really need). I’m still interested in learning new technology, plus I’m able to read about the current law on-line (which I also enjoy doing), so prep and pros remains my thing. Also, you can cultivate much stronger and loyal relationships with clients doing prep and pros work, especially if you don’t get overly focused on billing huge numbers and can offer experience (I’m in my 33rd year) and quality that those clients can’t get elsewhere. Any prospective (or existing) client who is driven primarily by what the application/amendment costs isn’t worth having or keeping because they’re not going to be loyal or trust your judgment in the long run. Smaller IP boutiques that focus on prep and pros need to and can lower their overhead significantly. I’ve worked from my home office desk top for almost 6 years now, and it costs you much less in overhead (the biggest overhead component is usually professional liability insurance, which is pretty steep for the IP area). My clients don’t mind (and frankly don’t care) that I don’t have an “office” they can visit; I just as soon visit them anyway. Again, clients who are bothered by a home office (as opposed to whether you do their work properly and cost effectively) aren’t worth having or keeping. In fact, going the “virtual firm” route with individual attorneys connected primarily by a common computer system is likely the future for prep and pros. Frankly, IP litigation is now the province of the “big” GP firms who don’t understand how prep and pros works and use a billable hour structure that is no longer compatible with prep and pros. Let them keep that insanity and nonsense. I’ve been exclusively fixed/flat fee for prep and pros for most of my years in private practice because clients don’t care how many hours you spend or what your billiable rate is, but how much the product, be it an application or amendment, costs. A fixed/flat fee approach is particularly crtiical to get university or even corporate prep and pros work. Most GP firms can’t think outside their “billable hour” box to make themselves attractive to clients interested primarily in prep and pros. So offerring fixed/flat fee in prep and pros will make you attractive versus the “big” GP firms that are clueless about this. In terms of marketing, I also stay away from conventional advertising, such as the yellow pages. You’re not going to get clients that way, and most who call are more trouble than they’re worth. Instead, it’s more important to network, including with other smaller IP practices (there are always conflict issues) or other smaller firms that don’t do IP (unlike predatory large GP practices, smaller GP firms are unlikely to steal the client away and can offer non-IP legal services for you client you are unable to offer). I also belong to 2 non-law organizations that I enjoy belonging to, am willing to be active in (that’s verry important), and offer network opportunities where you can target your prospective client audience. Conversely, I only belong to the AIPLA and the local IP association; membership in other (national) law organizations that don’t focus on IP, such as the ABA, are, in my opinion, a waste of money for those doing prep and pros. My 2 cents for what it’s worth. EG — thanks for a very interesting description of your practice. It sounds like you have been around the track a lap or two and know how to drive it. I am curious about your fixed/flat fee commitment, though; how do you come up with the number that will be the fee? 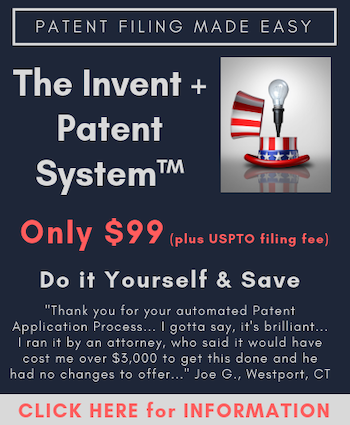 Is it a fixed amount for a patent appplication regardless of the invention or do you have an initial discussion with the client to learn about it and then quote a fee? Similarly, do you do all amendments at the same fee or just judge each one when you see the office action and give the client a number he or she can accept at that time? In may view, amendments that simple fix a couple of antecedent basis errors are a whole lot different than amendments rejecting 34 claims over 12 different permutations of reference combinations. I agree with EG. Our firm is designed on the home-office model. Our overhead is dramatically lower than the traditional IP boutique, but we can offer the exact same prep and pros services. I have several large clients that I never physically visit. All of our meetings are held over the phone or through email. Most busy inventors prefer this, as it takes less time out of their already busy day. I also agree that networking is the way to go to gain new clients. It has been extremely helpful in gaining local clients to keep that docket clicking. When I left my previous traditional law firm, most of the partners agreed that the home-office is the wave of the future in prep and pros. I couldn’t agree more. Thanks for the comment. In terms of fixed/flat fee, I do size up the application (or amendment) first to decide how much time I estimate it will take and advise the client accordingly (sometimes I provide a range which is based on a range of hours I estimate it will take to do the task). With regard to each type of work, I have a starting minimum (listed in my fee schedule which I provide to clients, both existing and prospective), and go from there. For first time, non-corporate clients (especially individuals), I also ask for an advance upfront (what used to be called retainer), and require an engagement letter too. If they balk at either, that’s “red flag” that this isn’t someone I want for a client (and yes, I’ve had the sad experience of being stiffed and not getting paid). I do have a billable rate I work from but that’s pretty much used to estimate what the work will cost based on how much time I estimate it takes. I also realize that I’m doing the word processing (not a paralegal that I dictate it to like I did earlier in my career) so my billable hour rate reflects that (i.e., is lower than if i were in a firm). I also don’t get hung up on exactly how much time I actually spend as I do the work; I’m more interested in getting the job done right, not how much time down to the 0.1 hour. I actually use an Excel spreadsheet to log in my time (I developed it years ago) but that’s mainly for future reference to see how efficient I am and how much billable (and nonbillable, which includes marketing and networking to gain additional business/clients) time I’m spending. In the end, I’m mainly interested in how much in gross income i’m taking in and whether I’m on target with what I project I need to cover expenses and earn a decent livelihood for my family. As Benjie astutely pointed out, quality of life matters to me greatly. I’ve got other interests outside of IP practice I enjoy. Too many attorneys I’ve come across (mostly litigators) are more interested in power and a pile of money. I’m not one of those and glad i’m not. I’m currently 58, saved for the future (including from a profit sharing program when I was corporate for slightly over 19 years), have no debt, and can comfortably pay for my two boys’ college education. I’m likely to stick with IP law for about another 4 years, until I’m 62, and then take a look at how its going and whether I still enjoy it. Hope that gives you so more prospective on what my practice is and how I run it. Making a general statement/stereotyping that India patent searchers are crap is not correct. With regard to Indian patents you should be aware of the limitations which exist regarding data availability of Indian patents. I believe the general statement is, in fact, correct and practicing patent attorneys I know who have encountered patent searches done in India know that to be the case. It has nothing to do with limitations regarding data availability, although that is one problem. It has to do with language barriers. If you are not fluent in English it is quite difficult to do a patent search. Every patent attorney I know that has seen patent searches out of India knows exactly what I am talking about. The story I like to tell, which is 100% true, relates to the difference between “pig” as a farm animal and “pig” as a term of art in the plumbing field. I saw a search from India relating to plumbing find all kinds of hog pens and farm references because the searcher didn’t understand the invention enough to know the reference to “pig” was not to an animal. That is atrocious, but happens. So on top of there being real and serious concerns about violating US export laws, there are real and serious concerns about whether you can ever rely on the patent search. Because by its nature a search is looking for things that may or may not exist, in my opinion it is unacceptable to have the search performed by those in a distant country who have differing levels of proficiency with the English language, different familiarity with cultural references and different understandings of terms of art and slang. I am a European and German patent attorney and receive from one of my clients, a large international corporation, together with every invention disclosure asearch report from India. From these reports, I see that the Indian searchers understand in nearly all cases the inventions. These are the good news. My client files PCT applications with the EPO as ISA. When I receive the search result from the ISA, I usually compare this result with the prior art search from India, which was done before filing the application. Until now, I have never seen a case where the Indian search result correlated with the search result from the ISA. These are the bad news. So what can we learn from this? In my opinion, the prior art searches from India are waste of money (even if they are cheap). I was under the impression that searches go to India, but not prosecution (that is office actions and other communications with USPTO). Am I wrong? You are correct that searches are going to India, but in many cases drafting of patent applications and drafting of prosecution related documents and responses are also going to India as well. That’s correct Gene. There are firms that offer patent drafting, prosecution work and full docketing services. There are US firms using ALL of these services The service companies are fronted in the US and Europe but with their back office in India. Concerning Indian search services (I don’t know about drafting, but that’s also likely to be problematic), the feeling one gets from interacting with those Indian firms is that there’s a certain “gold-rush” quality to them. There may be some serious firms, but they are being crowded out by mushrooming fly-by-night operations attracted to a lucrative field and driving very hard sells (sometimes bordering on harassment) while cutting a lot of corners (not least because they are run by managers with close to no experience or understanding of the patent system or search practices). A decent prior art search requires not just a few man-hours (which is where India has a cost advantage), but also access to decent search tools and databases, and those are just as expensive (if not more) in India as anywhere else. The prices offered may cover the salary costs, but not the overhead of a quality operation. I’ve seen search reports in which a lot of effort had been put in presentation, but where the only tools used for the search were the USPTO website and the EPO’s espacenet. Unsurprisingly, they had missed all the relevant prior art, even though the searcher had clearly understood the subject-matter. Excellent article, I could not agree more. I personally have adopted a low volume, reasonable fee model. Companies are able to convince firms to accept low fee work because 1) the tech economy is rough in general and firms are scrambling to find anything to keep associates busy and to pay overhead; and 2) partners in a typical firm can get leverage credit for bringing work in and pushing it down to associates who are not in a position to refuse, and the partners rarely punished for bringing in work that cannot be done in the time allocated (the fixed fee divided by the associate’s billing rate). Instead, the associate gets poor reviews for being inefficient. For me, your article is very interesting because I had a business connection with one of boutique firms you mentioned, Darby & Darby. As you know, Japan is considering a TPP (Trans-Pacific Partnership) joining. It says that TPP shall substantially mean a FTA (Free Trade Agreement) between Japan and the U.S.A. The TPP aims at the liberalization of 100 percent of trade and the elimination of any obstacles to trade (e.g., language, qualification as an attorney) in the member states. Services including attorney’s services are subject to the liberalization. The question that I have, is whether U.S. patent prosecution specialists will watch for playing field in Japan once the TPP is concluded wherein Japan and the U.S.A. join with other states. The majority of patent firms in Japan is at prosecution work, and lacks professional skill or expertise in handling overseas patent litigations as compared with U.S. prosecution specialists. Therefore, by the entry of U.S. patent prosecution specialists into new marketplace in Japan under the TPP, I’m worried that many Japan patent firms will go out of business or will be resigned to low margin prosecution work. I need somebody’s opinion.